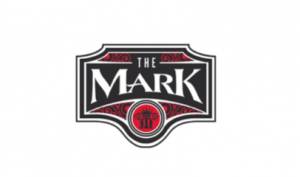 Dine and dance at The Mark for an exclusive Valentine’s Day treat! Featuring 3 courses of carefully crafted cuisine coupled with the finest wine, guests will be invited to dine while enjoying live music. Finish your night off by being swept off your feet while learning the Tango! Only 36 tickets available. The TWO TO TANGO class is open to amateurs and novices alike. Kern County dance educator, Marilyn Stone and Jason Page, will teach the Tango! Show some love and pre-order a bottle of wine or champagne to be ready the moment you arrive! Pre-order bottles are available to TWO TO TANGO guests for a 10% discount. Additional bottles of wine + champagne available for purchase on Valentine’s Day for a 10%, please contact The Mark Restaurant. *Ticket price includes 1 free drink, dinner + desert, and dance class. Marilyn is passionate about teaching and sharing the joy of dance with others. She has performed and choreographed professionally in the states and overseas since the age of 19. Locally, she has worked (or continues to work) with organizations such as CSUB, BHS, Civic Dance Center, and NOR Recreation. She will be performing in “Dancing At The Stars” again this year on April 12th and 13th. For the last year and half, Marilyn has trained with USA Argentine Tango Champion Marcelo Molina and has recently started teaching her own Tango classes here in Bakersfield. Checkout Tango Bakersfield on Facebook for more info. You can also go to Ballroom Bakersfield for info on ballroom classes. Jason is somewhat of a mild-mannered professor. By day he teaches economics at Bakersfield College and by night he becomes the student and takes a variety of classes at several different studios in town. Jason takes on the role of Assistant Teacher for Marilyn’s Tango classes and is happy to be assisting her for this special Valentine event. No- not to worry! We are all beginners at something, and we want you to have fun!